Each year during Banned Books Week, I review a book that has been challenged frequently. 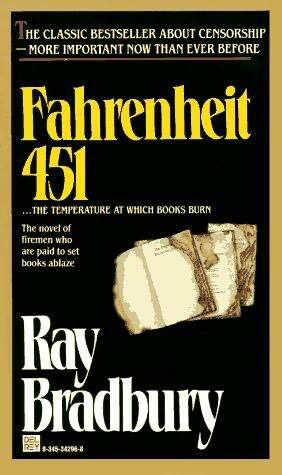 In 2011, I chose to read and review Fahrenheit 451 by Ray Bradbury. This classic has been challenged because of language and religious objections, but it is also a good book to read for Banned Books Week because it's about a future society that banned reading. Following is my review from September 29, 2011. Enjoy! I recently reread Fahrenheit 451 via an audio book. I absolutely loved it and although it may have been published over 50 years ago I found it to be a relevant and thought provoking read.